There are too many zombie-shooting games out there to count, but how many are there that let you play from the zombies’ end? We can only think of Stubbs the Zombie on the original XBox, and…that’s about it. Is Horde: Zombie Outbreak in a class by itself? The biggest problem is that zombies aren’t easy to control — done traditionally, they’re slow, lumbering, and flop their bodies in random positions. Madowl Games, the developers of Horde: Zombie Outbreak, solved this problem by letting you control an army of zombies at once. It’s like having your own army of man-eating Pikmin. Conquest – Fight against time and the resistance through increasingly difficult zones, complete all the objectives and finally destroy the city landmarks! Play tactically to avoid the resistance wiping out your precious zombies, use abilities to stay hidden and destroy buildings and cars to increase your time! Unlock new cities to infect by completing conquest in other countries. First stop London. Next up Moscow. Endless – How long can you and your zombies last in an Endless city rampage? No time limits just pure destruction! Compete on the leader boards against your friends and the rest of the world for zombie horde glory! Choose your favourite zombie and the abilities that suit your style of play. More cities – We plan to release new cities from around the world which you can destroy with your horde. More zombies – More zombies with new abilities will give players even more choice on how they command their horde. New game modes – More ways to play the game, more ways to infect and destroy. Co-Op, map editor and challenges are all possibilities. 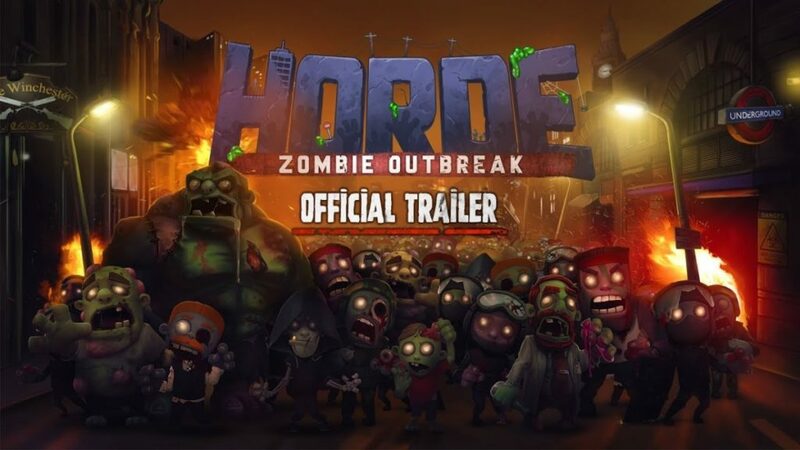 Horde: Zombie Outbreak is coming for you, and fast. The game will be in beta form on Steam Early Access July 30. The normal entry price will be $10.99, but a 40% discount in the first week will shave a few cents off that.